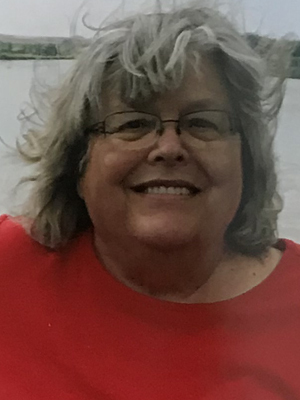 Joyce A. McAllister, age 71 of Prior Lake, passed away on November 9, 2018. A visitation will be held on Saturday, November 17, 2018 from 1-2PM with a prayer service at 2PM, all at Ballard-Sunder Funeral Home, Prior Lake. On February 12, 1947 in Winona, MN, parents Joseph and Carmen (Patzner) Rezab celebrated the birth of their daughter, Joyce. As a young girl, her family moved to Richfield where she attended the Academy of Holy Angels. Traveling by train, Joyce would often visit her extended family in Winona. She grew a deep appreciation for family. In 1961, Joyce’s family settled in Prior Lake. While on the school bus, Joyce met a young man with a broken leg—Robert McAllister. He offered her a seat with him and the rest is history. After 5 years of courtship, the couple exchanged wedding vows on June 4, 1966 in Bloomington. Their marriage was blessed with a loving family. The biggest joy in Joyce’s life was her role as a wife, mother, grandmother, and great-grandmother. The family enjoyed their annual trip to the state fair, spending Sunday afternoons together, and even working together. For over 40 years, Joyce worked as the secretary in Robert’s animal control business. She spent many years bookkeeping for Super Valu. Often, Joyce would bring her grandchildren to work with her. When she was home, Joyce enjoyed the garden that Robert grew for her and doing genealogy research. Her special knack for remembering dates and information, both important and mundane, made her the family historian. Joyce was an active member of St. Michael Catholic Church, assisting with funeral luncheons and Sunday school. She also enjoyed visiting with the knitting group at the local library. Joyce was talented at knitting, crocheting, and quilting. Taking after her extended family, Joyce had a welcoming home—there was always an open spot at the kitchen table for a guest. Joyce was kind, generous, and caring for not only her family, but her friends and community. She is loved and missed by her husband, Bob; children, Connie (Scott) Roseth, Bridget (Skip) Peterson, Deanna (Ryan) McWilliams; grandchildren, Chris (Colleen) Hackley, Tyler (Jil) Hackley, Gunnar Peterson, Lizzy McAllister, Skyler (Savannah) McWilliams, Chloe McWilliams; great-grandchildren, Charlotte Hackley, Cora Hackley, Aila Hackley, Margo Hackley; siblings, Joe (Laurie) Rezab, John (Pat) Rezab, Jim Rezab, Janean Cummings; other relatives and friends. Joyce is greeted in Heaven by her parents and brother-in-law, Rick Cummings. Our Prayers and thoughts are with during this sad time. May God give you needed strength in the days ahead. I am very sorry for your loss. Joyce was such a sweet woman. Our family will be praying for you. Please let us know if there is anything we can do. What a shock! I am so sorry. Bob, you know how mom and I loved you and Joyce. I’m praying for your peace and you are all in my thoughts. Just called Jill to let her know. Thoughts and prayers , Bridget, for you and your family. I am so so sorry to hear of Joyce’s passing. She always had a smile and a minute or two to visit. She was a kind sweet person. She will be missed.